Of course, having traveled to Russia, this photo in our Home As Art group caught my eye. 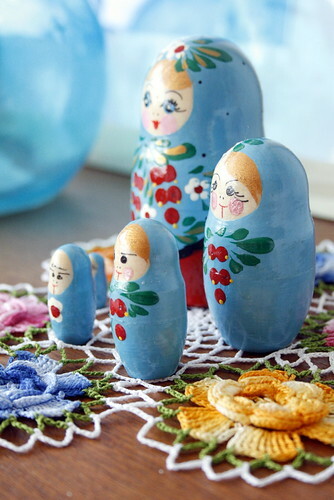 I love the blue in the Matyroshka dolls, and how they pick up on the blues in the rest of the image. What about in your house? How do you display the treasures from your travels? 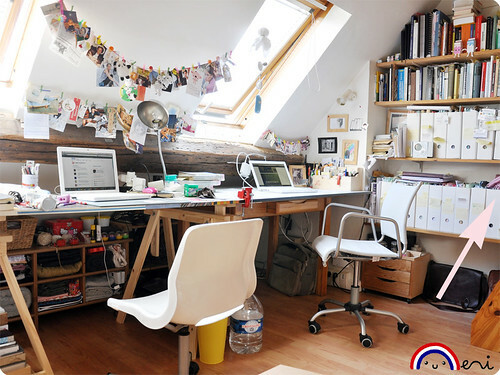 Look at this fabulous work space! What a fun use of space, and I love the light from the sky lights too. Did you have a nice holiday weekend? We spent a good amount of our three day weekend working on the kitchen and bathroom project at my parents house. Of course, we also had a bit of time to BBQ, and make S’mores with these awesome S’more baskets we recently got to try out. They were awesome, and we can’t wait to make them again (especially now that the weather is cooling, perfect for nights by the firepit)! What did you do? On to the inspiration for today! Don’t you love this room? 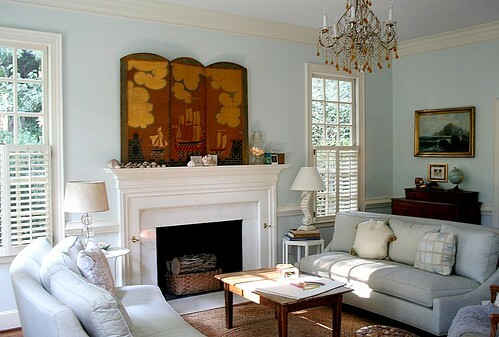 It looks so comfortable, and I love the art they picked for above the fireplace. Unique, bold, and it really adds color to the room. It’s all about the details. I love the way this building looks, don’t you?